Medication errors occur daily and are a major burden to society, often leading to adverse drug reactions, lengthened hospital stays, increased healthcare costs, and in the most severe cases, increased mortality. Medication errors pose a significant risk to the European population. Research has shown, however, that 50% of medication errors can be stopped with an automated check at the patient’s bedside. MedEye is an innovative medication verification suite that scans, detects, and verifies medication at the bedside. It stops medication errors from taking place by verifying medication before it is administered to patients. 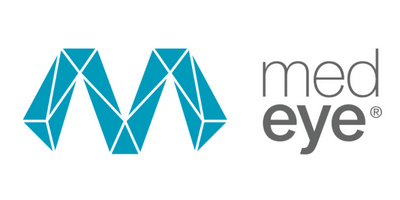 MedEye has already been tested and validated in several Dutch hospitals with excellent results. Thanks to the support of Horizon 2020 – Fast Track To Innovation Programme, activities will be performed to enhance MedEye and facilitate its deployment on a large scale. Two studies will be performed to establish transnational performance and cost effectiveness. One for the hospital sector at the Newcastle Upon Tyne Hospitals Foundation Trust in partnership with Durham University. One for long-term care through central pharmacy Pharmaforce. MedEye provides nurses and healthcare workers a single place where they can verify all medications – oral solids, injections, compounded and repackaged medication. Administration details are then automatically stored in a patient’s medication administration record. Benefits for hospitals and long-term care facilities are a reduction in medication errors, a common workflow for all nurses, and greater flexibility in logistics which can help increase efficiency.